Finding a great deal on a Robart Pinchless Walking Horse Medium Port Bit can be difficult. But do not worry as we have a vast selection of Pinchless Walking Bits that are not just made of superb quality but also affordable. 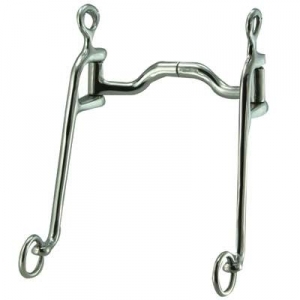 This particular Robart Pinchless Medium Port Bit measures 8" in the shanks and also uses pressure instead of train to pain making it convenient for the horse yet very effective. When buying from us you can rest assured you will be purchasing a great product.